♥The cute Shiba Inu plush pillow is the best gift for children, couples and friends. 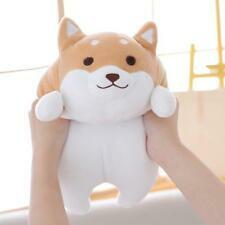 ♥Soft, chubby Corgi, very elastic, you can hold, pressure it, and when you are in a bad mood, you can hit it. 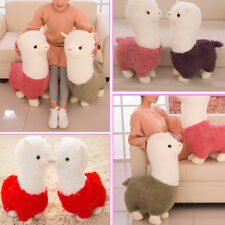 Material: high quality short plush high quality PP cotton. Mischievous misunderstood, these Funny Ugly Monsters are up to no good. Grinning from ear-to-ear, a Fuggler's tiny mouth is filled with human-like teeth, and their less-then-pearly whites are big, realistic and totally weird, so beware. Gummy bear or gummi bar, the famous you tube singing bear. Press his hand and he will sing the famous song "I am a gummy bear". He is super soft and cuddly and easily recognizable. Another beautiful product from Keel Toys, the Keel Toys Unicorn Collection. 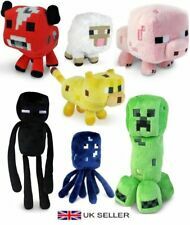 they are fibre filled and a must have for any Unicorn soft toy collector. 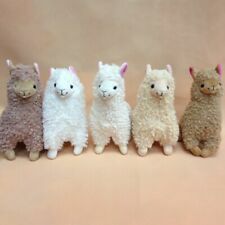 Why not add one of these cute furry little Soft Toys to your Unicorn collection! This beautiful German Shepherd, also known as the Alsatian in Britain and Ireland, soft toy by Living Nature is designed with realistic features, a friendly face and a soft brown and black coat! LIVING NATURE GERMAN SHEPHARD. 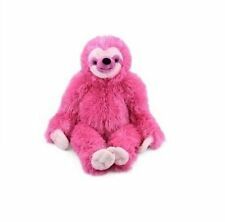 Koala soft toy in good condition. Small unicorn soft toy in good condition. BOCCHETTA PLUSH TOYS - KING CHARLES SPANIEL DOG SOFT PLUSH TOY - ALEX. Alex is a cute and cuddly Cavalier King Charles Spaniel in a lying position. 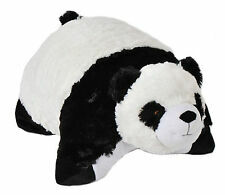 Very realistic stuffed animal from Bocchetta Plush Toys. 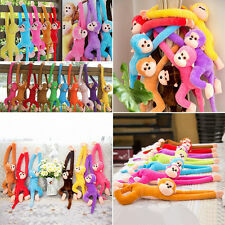 Hug'ems or Hugems, whatever you'd like to call them have over 50 different animals in the range. 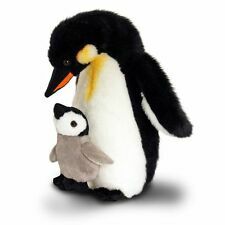 They are a cute, easy to hug size of 7"/17cm long or high, they are highly detailed using the finest of fabrics and are just simply Huggable! Kermit the Frog soft toy in good condition. Big Shark Soft Toy Stuffed Cushion Large Plush Toys Doll Pillow Birthday. 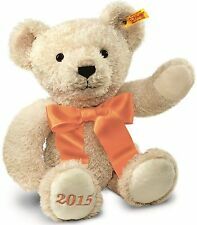 Tic Toc Teddies soft plush Teddy Bear dressed for court, with court robes and wig, he is a soft and fluffy teddy. He would make a great graduation gift for anyone studying law at College or University. Bear soft toy in good condition. Don't miss out on this. Reptar soft toy in played with condition. BOCCHETTA PLUSH TOYS - KOOKABURRA STUFFED ANIMAL - HILLARY. Here is a stunning realistic Australian Kookaburra stuffed animal, which has a blue beak and blue feathers. Very fluffy, just like the real bird. BOCCHETTA PLUSH TOYS - FRILL NECK LIZARD STUFFED ANIMAL - PHILLY. Philly is an Australian Frill Neck Lizard stuffed animal plush toy with lifelike 'skin' feeling fabric. 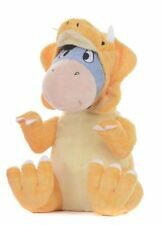 Once again, the Bocchetta Plush toys quality shines through on this Lizard stuffed toy. CUDDLEKINS MINI WALRUS BY WILD REPUBLIC. THIS WALRUS IS A SOFT PLUSH SOFT TOY STUFFED ANIMAL. Bank details are available when you go through checkout. Our aim is to provide you with great service and quality Ty Beanie Boos. Thomas and Friends Smartphone Play with Thomas & Friends and learn about numbers, colours and popular characters. The funky phone features four games to call, send a message, dial numbers or get quizzed, and plays real ringing and calling sound effects as well as an automatic call back. Suitable for ages 2 . Details - Numbat 30cm L. Lovely and soft to touch and cuddle! If they find that the item is faulty, it will be replaced with a new one. Item Width 0.150m. She is so life like you can almost hear her purr. What a wonderful beautiful friend she is. Snowflake is a Bocchetta Plush Toys, realistic cat plush toy, so you can be assured that she is very high quality. Our aim is to provide you with great service and quality Ty Beanie Boos. Buying is Fun. Lovely and soft to touch and cuddle! Details - Sheep Kid White 28cm L. If they find that the item is faulty, it will be replaced with a new one. © 2018 Rug Machine. Item Length 0.280m. No two ISLA boos are exactly identical and individual boos may vary for this reason . Our aim is to provide you with great service and quality Ty Beanie Boos. Kind Regards. Our aim is to provide you with great service and quality Ty Beanie Boos. Retired and hard to find. We look forward to providing with a wonderful buying experience. Regular Show Rigby Wrestling Buddy Talking Raccoon Cartoon Network Jazwares 16"